The Green Hill Way Christmas party, in Shirley, Solihull, was supposedly all about the kids. But that’s only part of the story. 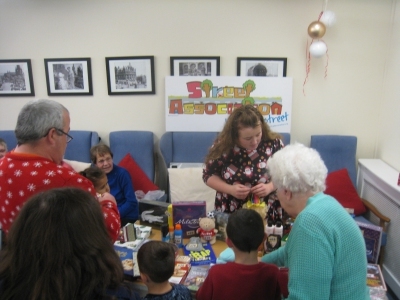 Bringing together people of all generations living on the same street was a delight for many of the older residents, as well as younger ones. 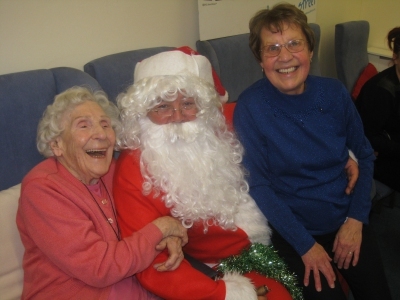 “Had a really wonderful time, especially with the children and they made me feel so young again”. “It was very inviting, entertaining, food great, everyone helpful”. “Been lovely. Very friendly. Children have loved it”. “Brilliant job and thank you for the use of the room. The whole party went really well and everyone enjoyed themselves”. “All really nice and very welcoming”. “Made a nice afternoon to meet more friends”. “Very enjoyable day, thank you. Food was wonderful, especially sandwiches and lovely cakes”. “It has been a very enjoyable day. My children loved it and wish to come again”. “Lovely to see the kids enjoying themselves”. 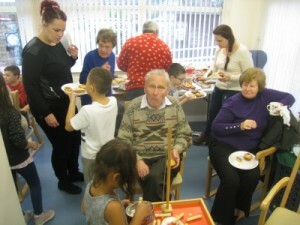 “The party was very well organised and everybody had a wonderful time”. “Santa: the best ever! Food, drinks, fun, games, company”. “It was just brilliant. Everyone enjoyed it. About time we had something in our street. 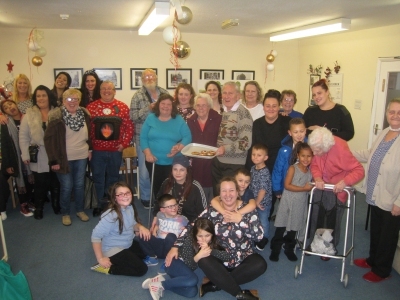 Well done to the day centre”.